Truly awesome update, guys. I've been waiting for functionality like this for so long! finally. this is why I bought my moto 360 2nd gen. I was disappointed to find out it didn't work. this makes me so excited. Y'all are killing it! Great work! Just make sure it isn't draining the battery as it used to do! Any chance this will work with fitbit or garmin devices? Might want to look at atlaswearables.com and expand on tracking strength exercises. They track everything. 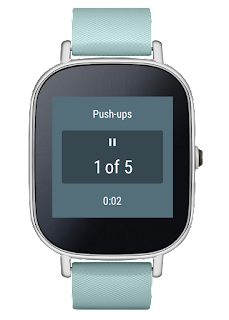 Would be cool if all their exercises could also be tracked on google fit. why no love for the pebble? I'm assuming because it's not Google's platform. Google making apps for their own platform and giving other companies the tools to add support for their own. Same reason there's no official Google Fit client for the Apple Watch. Personally, I use PlexFit on my pebble for step and sleep tracking. Works nicely. You can use the app "Sleep as Android" as a middleman here. It supports sleep tracking using any Pebble watch and it can sync the data to Google Fit, as mentioned in this article actually. I've used this app for years and its support for Pebble is part of why I got a Pebble. It tracks sleep, noise, snoring, etc. very accurately and graphs out the data and has tons of configurable settings and great features. I couldn't recommend it enough. Does anyone know where I can connect MyFitnessPal to Fit? They announced integration a long time ago but to my knowledge they have not released any app that does it. Great, but why did you remove adding of custom activities? Awesome news. I've been waiting for this functionality for long time. This is cool and all but it still doesn't connect with MFP for me at the moment. Why keep telling me it's coming when you've been saying for months that it's coming? Why not just announce it when it's available ? We have to compare it with other kind of fitness app like Nike Training. Notice: I've never use it. Thank you Google! I have been waiting on this. I have been using Noom Coach, now I can delete another app that I do not need. Can other APPs get the data too? Yes. 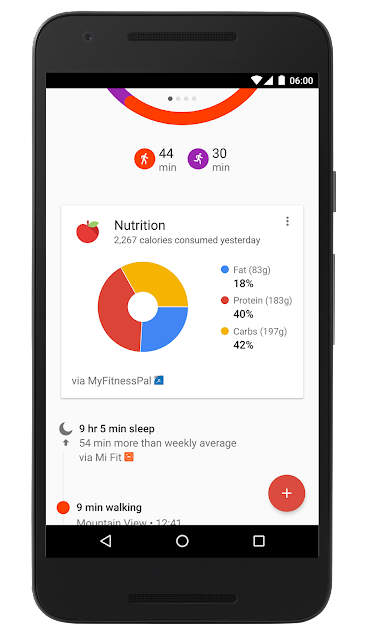 All of this data is available to any app that uses the the publicly Google Fit API. They aren't using any secret APIs for this, so if an app you use doesn't support reading or writing to Google Fit, then you should send the app developer a message asking if they'll add support. Is activity tracking with GPS available in Android Wear watches like Sony Smartwatch 3 or the upcoming Moto 360 Sport? There are still too few Apps that use this feature. 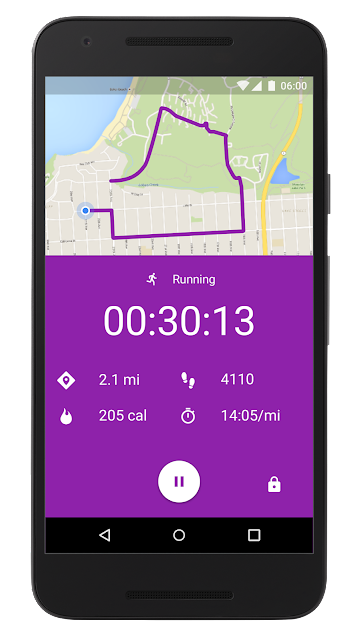 I am also interested to know if I can now go running with my Sony Smartwatch 3 and Google Fit will automatically capture my run stats with GPS included, without taking my phone along. I read today on the Android Wear website that Fit for Wear will only record steps and no time information unless a phone is paired. It makes no sense to me so I wonder if the website has not been updated. Cool but... What about the integration with Fitbit? I look forward to seeing it... Mfp still doesn't want to play with Fit though? That is very simple and nice information, i want to know more about so thats why i find this link, you should open it and increase your knowledge. very smart way of staying fit and updatation. I am designing something similar app from http://www.panaceatek.com/ and finger cross to check if its is coming up good or not?? Get Free Cricket betting tips at Aslam betting tips free in with all the accurate cricket betting tips report for free with free trial and also we provide. Absolutely nice blog i like it Definitely this blog have this quality big cost, special effects, thank for sharing nice post. If you planning buy the Cover ferrari iphone 6 then please select mbtrade and get some discount we offer Iphone 5 iphone 5s and other all type mobile phones. Sleep data from Sleep as Android shown in Google fit is sort of weird... In the main view, it shows an activity that only says the time I feel asleep. I have to tap to open the activity to see the actual length of sleep time (much more useful metric). It also records active time an calories, which is I don't think is correct because I believe it records movements made during sleep (tossing and turning) as steps. I also use a Mi Band simultaneously with Sleep as Android, and the data from the Mi Band is more useful—shows the length of sleep on main view and the difference to weekly average, although tapping it does nothing and it can't be edited. Unfortunately, the data is entirely worthless because it syncs completely wrong and ranges from a few minutes to 2+ hours different than the correct data shown in the Mi Fit app (other users on Mi Band subreddit have posted about this too, so it's not just me). Not sure if it's an issue on Xiaomi or Google's end. We Have Developed A New Dynamic Application for Gaming Technology for Subway Surfers. Check Our Application at http://www.swimhealth.net/clashofclanshack . Kindly Give Your Reviews that It this Application Suitable for Opting A New Strategy for Games. Im unable to lpgin google fit website. Get Internal Server Error' error 500. Anybody knows if there problem with the site?